We’ve mentioned our love for the beach before. We’ve even used a family beach shot for our Me and Mine picture previously. The beach is somewhere which grounds us. When life is crazy or we’ve all been too busy to spend time with each other, a beach visit always brings us back together. Our favourite way to enjoy the beach is at night, when most visitors have packed away their cars to head home. 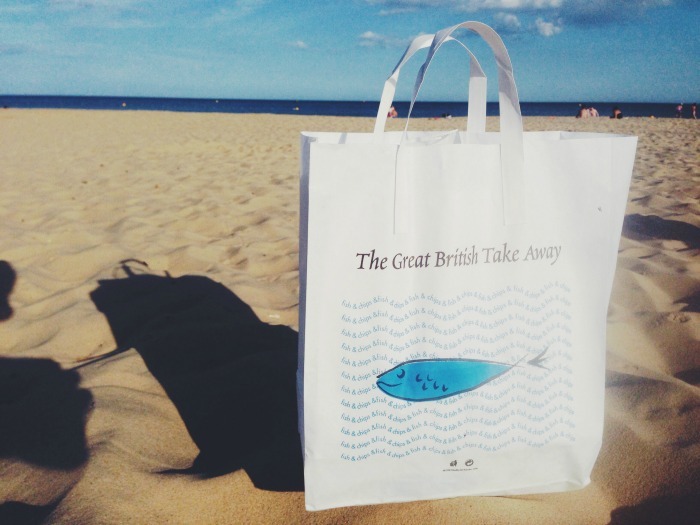 We stop off at the local supermarket or chip shop and enjoy some beach on the sand, before dipping our toes into the sea. There’s something so special about watching the boats sail past as the sun sets behind us. M is fast becoming as much a fan of the beach as us. 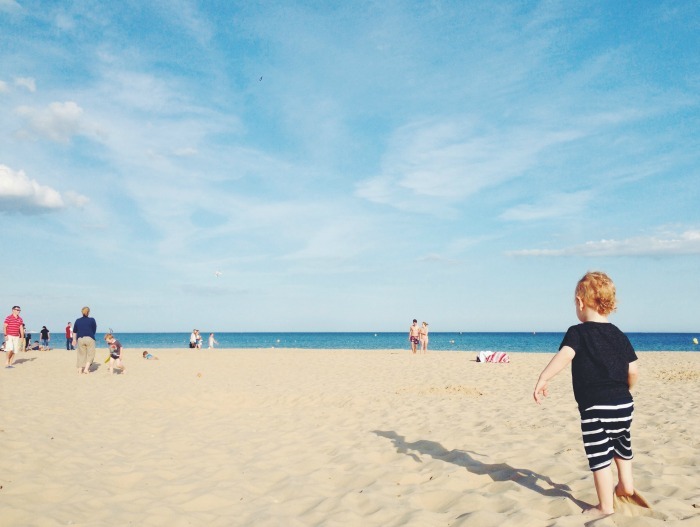 He no longer tentatively steps onto the sand, he lets his little feet carry him across the gorgeous sands, a spade in one hand and ball in the other. 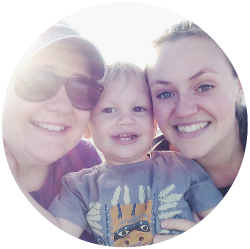 This month has flown by and with us going away to Britmums Live, we were concerned we hadn’t spent as much quality time with M as we’d hoped. We enjoyed running around on the sand, splashing in the wet sand by the sea and playing football. The bonus of a beach visit is how tired it makes you. We always end up sleeping well after a trip to the sea. We love the beach so much that we’ve decided to make at least one visit a week during the summer, as part of our summer bucket list. Where do you enjoy going as a family? 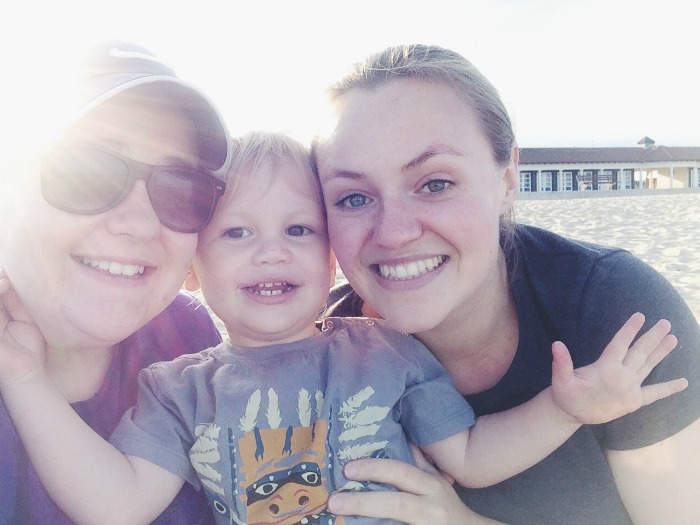 Oh that’s such a gorgeous photo – I think it might be one my favourite ever of all your Me and Mine shots – you just all look so relaxed and happy, and then there’s the beach and the sea and really what’s not to like! Long may evening picnics continue to be part of your summer days! Such happy photos! I grew up in Blackpool but never really spent much time at the beach. We’re not far from the beach now but never really go there – it’s definitely something we need to rectify this summer too. Such gorgeous photos. I really hope TC ends up loving the beach as much as M does. Our perfect family day out at the moment is Chester Zoo – we bought an annual pass in March and we’ve used it lots. We love the beach too, although definitelu don’t go as much as we should.